Ekiti state governor, a popular attacker of General Muhammadu Buhari has backed down from his hate campaign. In a statement released by his spokesperson this afternoon, the alleged prodigal son acknowledged that the ruling party has been defeated by the opposition. “By this election, Nigerians have shown that democracy has come to stay in the country. “I salute Nigerians, especially the great people of Ekiti State. “I urge Nigerians, irrespective of their ethic, religious and political affiliation to respect the outcome of the election in the interest of peace, progress and development of the country. “Nigeria as a country is greater than any individual or group and it is my plea that no one should do anything to rock the boat of peace in the country,” . 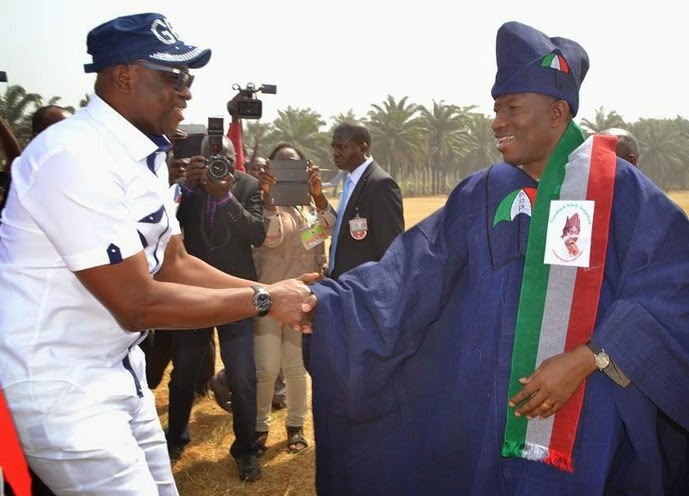 Hehehehe Fayose of all people. Isn’t this the guy that wished Buhari dead????? Guess he is afraid of going to jail after all. Don’t worry Fayose, Buhari has promised not to jail anyone. The only person you offended greatly is Baba Obasanjo in Ota. We don’t know what you will do to appease the Ota man, you have insulted your elders. Your own don reach you #ti e ti ba o.
Oloriburuku omo ale Yoruba! The same behaviour exhibited by his people in 1983 has not left them, ogaaaaaaaaa o! @Danti God bless you for saying the fact, i only blame jonathan for being so weak, now let us wait and see d change and Nigeria being transform to paradise as promise by the so called messiah buhari the saviour. Fayose go beg our baba @ ota,but u wher too personnal. If baba ota forgive we will forgive u too. Sai baba.